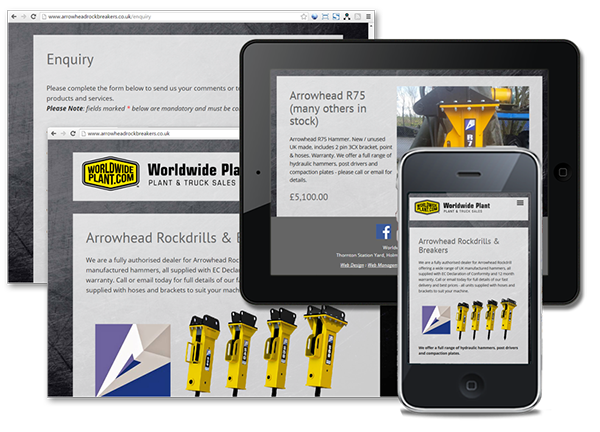 Worldwide Plant Ltd are a fully authorised dealer for Arrowhead Rockdrill offering a wide range of UK manufactured hammers, all supplied with EC Declaration of Conformity and 12 month warranty. Fast delivery and best prices - all units are supplied with hoses and brackets to suit your machine. Click the screenshots below to visit www.arrowheadrockbreakers.co.uk.